I would not recommend shopping at SK Jewellry. I was quite disappointed in the selection they had and the quality was very erratic. Overall, they seemed to have some of the highest prices in Singapore. 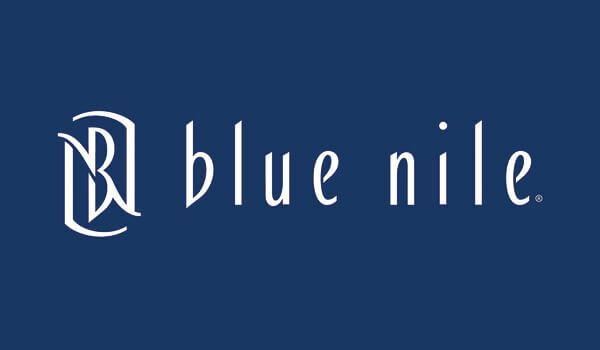 You are far better off shopping at a reputable online retailer like Blue Nile or James Allen. You will have access to more options, better quality and you end up with much better bang for your buck. Barring that, there are other physical retailers that offered you better value than SK. SK Jewellery Pte Ltd. is a subsidiary of Soo Kee Group, a public listed company in Singapore. Established in 2003, SK Jewellery is the largest jewellery retail chain store in Singapore with presence across Malaysia. Soo Kee Group Ltd was founded in 1991 and has an established presence of over 20 years in Singapore and over a decade in Malaysia. 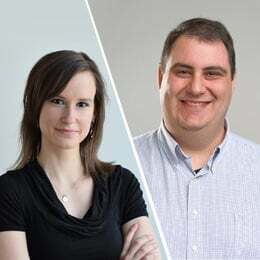 Headquartered in Singapore, the corporate functions include research and design, direct sourcing, logistics, training, branding and the group’s retail businesses. Our first visit to SK Jewellery was at the ION Orchard’s diamond promenade. Despite the stiff competition there, SK went with a pretty small location. It felt cramped and not very luxurious. The salesperson was quite perfunctory making it feel like it was all business. There was one long display case for gold jewellery and in the back of the room there was a smaller display case for the diamond engagement rings. They had a limited, but attractive, selection there. 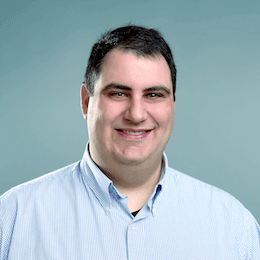 One weird issue was the fact that the salesperson stressed the importance of GIA certification. That made us happy. Unfortunately we experienced quite the letdown when the diamonds we were shown did not have GIA certificates. Finally we insisted and were shown one with a GIA certificate. We had a much better feel at the second SK Jewellery location in Chinatown. The shoppe was more spacious and had a far more luxurious feel. There store had a large area in the centre focused on engagement rings. They felt more like the focus there than an afterthought. The salesperson was very friendly and helpful. I will gloss over the first two diamonds we saw as they were not certified. The first was a “GH VS” 1.04ct round diamond in an 18kt white gold solitaire setting for SG$ 7,499. The second was a 1.00ct “GH VS/SI” round diamond for SG$ 6,899. Whether I agreed with the grading or not was irrelevant. At that price-point, there is no excuse for not sending the diamond to GIA. 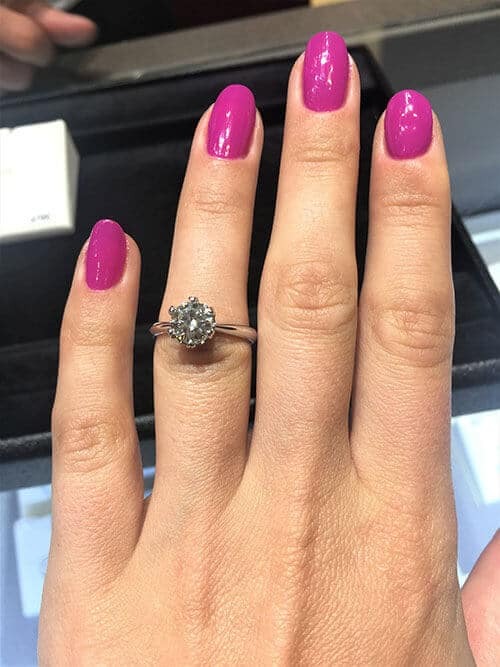 The GIA certified diamond we saw at the ION Orchard location was a 0.50ct D color, VS2 clarity round diamond in a simple pave setting for SG$ 8,000. This diamond was very nice indeed. The cut was fantastic and the diamond was bright and eye-clean. 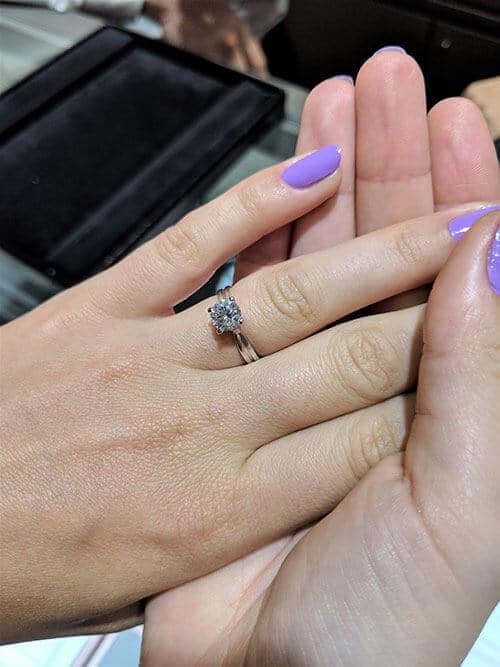 The first diamond we saw at the People’s Park Complex location was a 1.00ct G color, SI1 clarity diamond in an 18kt white gold solitaire setting for SG$ 20,404. The diamond looked ok, but then the salesperson insisted we look at it through a special scope. In there, the diamond looked terrible. The salesperson was a little confused and showed us two different certificates for the diamond. The first certificate was for a truly horrific diamond, while the second one was better. The diamond seemed deep to me, but not terrible looking, so I’ll give them the benefit of the doubt. The last diamond we saw was a 1.00ct F color, SI1 clarity round diamond in an 18kt white gold solitaire setting for SG$ 11,700. This was their “Celistar” special cut, but it looked pretty bad to me. I’m pretty sure the salesperson was trying to show me an uglier diamond to make the first one look more impressive. The diamond was incredibly deep and had a dead look to it (no brilliance at all). Make sure to learn more about the ideal depth and table for specific diamond cuts. So how did these diamonds stack up to the competition? Let’s start with the 0.50ct D VS2. Because this diamond was so nice, we will compare it to Blue Nile’s premier diamonds; the Astor Cut. Here is a stunning 0.51ct D color, VS2 clarity round diamond for SG$ 3,481 (including all taxes). This diamond is absolutely stunning due to it’s perfect cut. If you add that diamond to this comparable pave setting, the total price is SG$ 4,540. That is a whopping 45% cheaper than the ring we looked at in SK Jewellery. The second diamond we saw was a 1.00ct G color, SI1 clarity diamond. Here is a nice 1.00ct F color, VS2 clarity round diamond for SG$ 9,231. 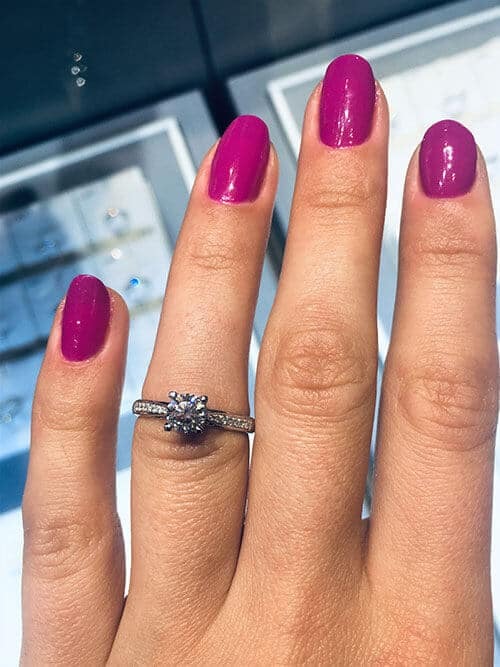 If you add it to this solitaire setting, the total cost is SG$ 9,831. You would be getting a superior diamond (better color and clarity) for an insane 53% less than the engagement ring from SK Jewellery. The last diamond was terrible (the poorly cut 1.00ct F SI1) but seemed more fairly priced. Here is a comparable 1.00ct F color, SI1 clarity round diamond for SG$ 6,828. If you add it to this setting, the total cost is SG$ 7,396. That is “only” 37% less than the ring from SK Jewellery. Buying a diamond from a physical retail store will always be more expensive than buying a diamond online from a reputable online vendor. This is unavoidable, since physical retail businesses have all kinds of expenses that online businesses don’t. Because of this, it’s understandable to pay a small amount extra when you buy diamond jewelry in person. However, the prices for the diamonds we saw at SK Jewellry were simply too high. In some cases, they cost twice as much as similar diamonds available online. With this said, SK Jewellry did a few things right. 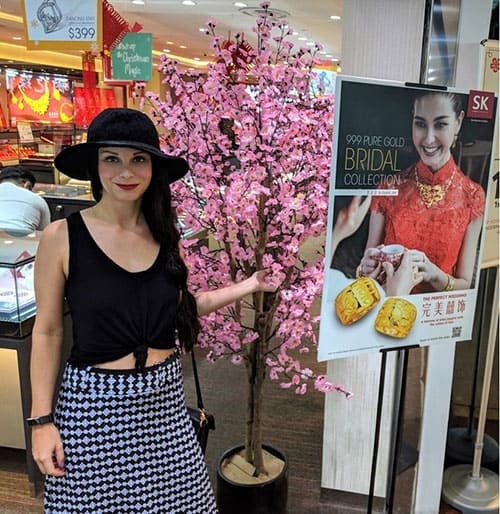 The Chinatown location had a luxurious feel that made it an enjoyable place to shop, with a large area focused on engagement rings. The salesperson we interacted with here was friendly and helpful. 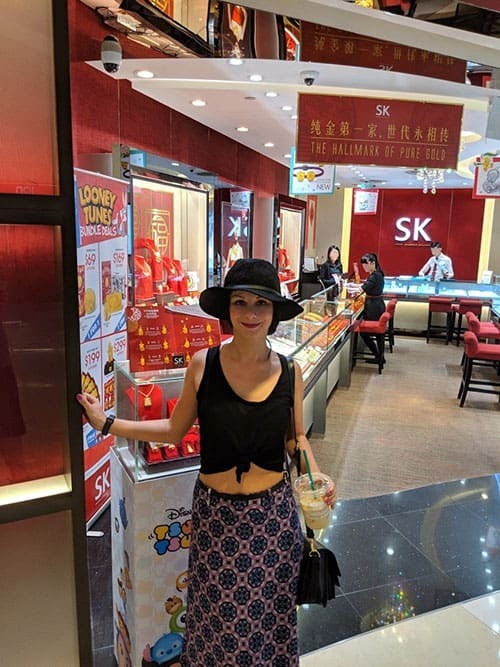 Overall, I can’t recommend buying diamond jewelry at SK Jewellry. Their prices are significantly higher than what you’d pay online. They’re also significantly higher than the other jewelers we visited in Singapore. Add the fact that the diamonds we viewed were not impressive into the equation and it’s very difficult to recommend shopping here. 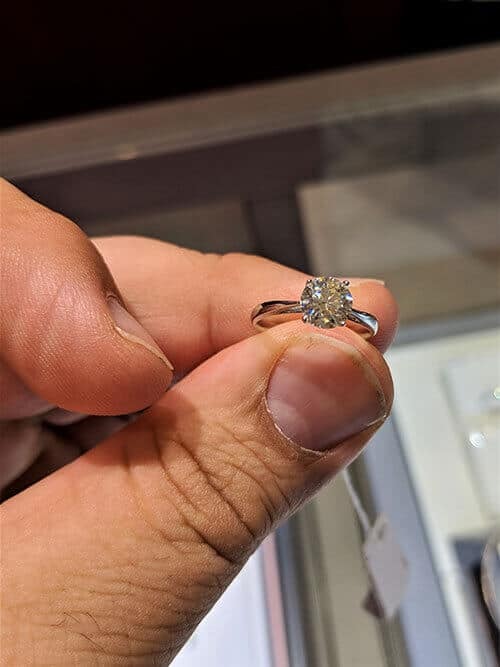 Instead, you can buy a significantly better diamond ring for 35-55% less from a reputable online vendor like Blue Nile or James Allen.